We have built a reputation as London's No. 1 boutique luxury estate agency. 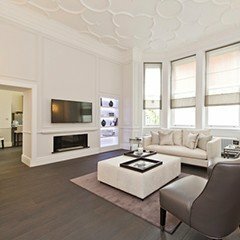 Our sales and rental agents have exceptional experience in prime central London including Belgravia, City, Hyde Park, Islington, Kensington and Chelsea, Knightsbridge, Marylebone, Mayfair, Notting Hill and St. John's Wood. Founded in 1979, we have grown to become a multinational firm, with prime central London as our UK headquarters and main area of operations. Furthermore, in order to provide a truly worldwide service, we have established overseas offices in the affluent destinations of Cannes, Mykonos and Florence. As of 2015, we now have a presence in New York and Israel where we work in association with like-minded professional prime real estate agents. Our principal activities involve the sale and purchase of exclusive residential and commercial property in prime central London; we also undertake its acquisition, investment and letting on behalf of our valued clients. We are entirely privately owned and are led by Gary Hersham who is fully involved in our activities on a day-to-day and strategic basis. Gary's expertise, enthusiasm and continuity secures our role as the property firm of choice for high-net-worth individuals and organisations valuing discretion, expert knowledge and exceptional personal service. Beauchamp Estates, has also joined forces with luxury boutique estate agent Hanover West End. 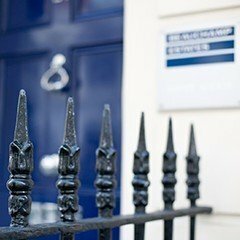 The Marylebone Office of Hanover will now become Beauchamp Estates Marylebone and the fourth London location for Beauchamp Estates. Alex Bourne and Richard Douglas of Hanover will be Directors of Beauchamp Estates Marylebone. This new venture will lead to coverage for buyers and sellers across prime central London. 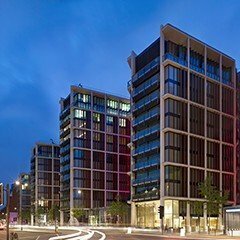 Beauchamp Estates Marylebone has been created through merging with Hanover West End, led by Directors Alex Bourne and Richard Douglas. 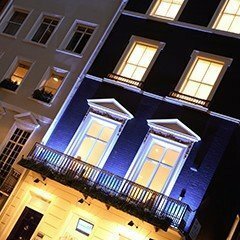 Bourne and Douglas will stay on as part of the senior management team of Beauchamp Estates Marylebone and will retain the current Hanover West End team. The Marylebone office will focus on Marylebone, Fitzrovia, Hyde Park Estate, Kings Cross/St Pancras and Paddington and will be Beauchamp Estates’ fourth London location, after Beauchamp Estates Mayfair Head Office, Beauchamp Estates St John’s Wood office and Beauchamp Estates Private Office, and its sixth office after international locations in France (Cannes), Italy (Florence) and Greece (Mykonos). Beauchamp Estates, who already cover the Marylebone area as part of prime central London, had seen their instructions from the expanding Marylebone and Fitzrovia market increase and were looking to expand and secure an office presence locally. Alex Bourne and Richard Douglas built up their prime central London business over the last four years, having sold over £250 million of prime London property, and were seeking to move forward with a larger group, who shared their enthusiasm for London property, while remaining boutique and firmly focused on client needs, both for sales and lettings. While geographically close to Beauchamp Estates’ main London offices on Curzon Street Mayfair, the unparalleled growth of the Marylebone market in the last five years, coupled with its distinct characteristics, make Beauchamp Estates’ expansion in Marylebone a logical, timely and strategic move.